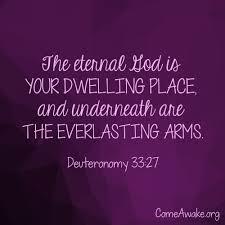 Deuteronomy 32:27: Our eternal refuge with Our Creator eternal, and God’s almighty arms underneath are everlasting. I am almost three weeks into my radiation treatments for prostate cancer (my prognosis is positive and the treatments are quick and painless, and I am thankful that so far I have had no adverse effects), and share a ride with a woman whom I’ll call Sharon from our church. It’s nice to have company on the 32-mile round trip drive, and I’ve gotten to know Sharon better over the past couple of weeks. The past couple of weeks, Sharon has shared a number of stories from her past with me. She grew up in Derry, a small town in New Hampshire and went to the local high school, where Robert Frost taught for a while. (She told me she did not have him as a teacher.) The population was so small that one school bus covered the entire attendance area. And I thought I had a long bus ride in high school! Sharon went on to say that buses were only for students through grade eight. After that, they were on their own. Her father went to work at 6:30 AM and dropped her at a traffic circle about a half mile from school. The janitor lived at the school so he had the building open and stoves going when she arrived. I imagine it was a glimpse of Paradise to come in to a warm building from the New Hampshire winter. Sharon’s older brother was born in 1930. While he was still an infant, his mother stood holding him in their living room while an electrical storm raged about them. Lightning struck the house, traveled into the room and hit the baby, not harming the mother at all. Of course the infant suffered neurological damage and had seizures and other medical problems the rest of his short life. He passed away at age seven when Marge was four, and she spoke with great tenderness of taking care of this unfortunate child. I had never heard of a babe in arms being struck by lightning, much less while being held in loving arms. It seems to me a parallel to how God treats each of us as God’s eternal children. We are babes in this world, and as the storms of life rage about us, sometimes we are struck by any number of destructive forces. 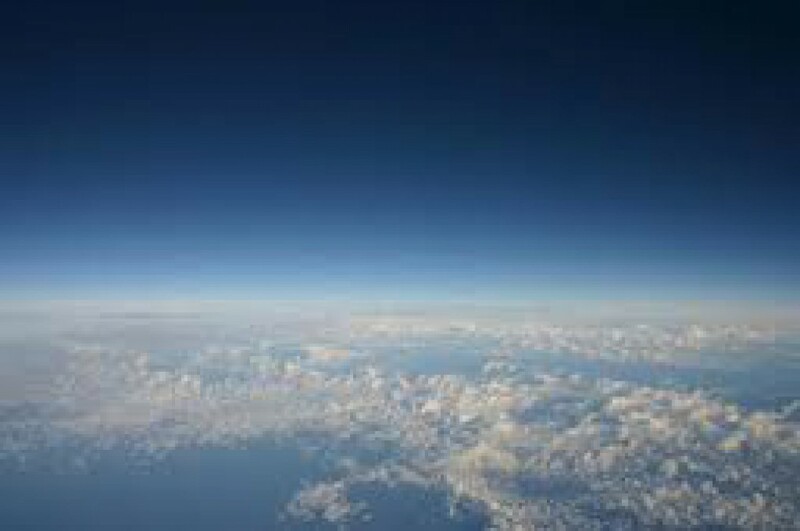 But no matter how we are harmed or the extent of our injuries and diseases, the arms that hold us are everlasting. Let us praise God for God’s goodness, care, compassion and eternal vigilance over us, who are to the Creator as babies to their mothers. This entry was tagged arms, baby, blessings, cancer, children, comfort, courage, death, deep faith, difficulty, disasters, doing good, driving, eternity, everlasting, expectation, faith, faithfulness, God's care, God's power, God's provision, grace, gratitude, grief, happiness, heaven, helping each other, hope, life, lightning, looking for the silver lining, miracle, mother, new life, passing it on, patience, perceptions, perserverance, praise, prayer, pressing on, progress, redemption, respect, reward, sacrifice, school, sharing, spiritual power, stories, story, teaching, thankfulness, the Kingdom, the one true God, theology, tragedy, Trials are blessings in disguise, universal truths, worship, writers. Bookmark the permalink. Thanks, Joan! Hope you and yours are well! Thanks for sharing this Dan. Leaning on Jesus – safe and secure! Awesome and so true! This is one of my favorites! Thanks, Maria! Your comments mean so much to me! difficult than you would possibly understand.